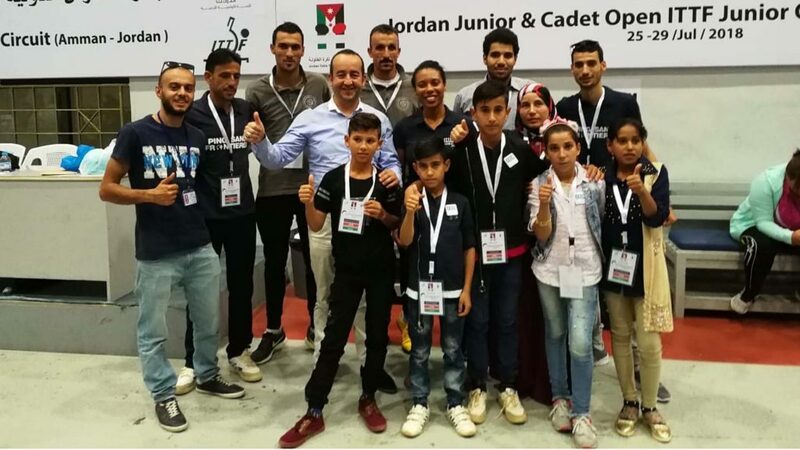 Staged in the country’s capital city of Amman, a total of 134 players, 98 boys and 36 girls representing 12 national associations, competed in the recent 2018 Jordan Junior and Cadet Open; play commenced on Wednesday 25th July and concluded on Sunday 29th July. In addition, thanks to support from Nittaku and the Foundation for Global Sports Development, a group of special guests was made welcome. Two coaches and seven young players from the Za’atari Refugee Camp, located in the Jordan border with Syria, were the welcome visitors; their attendance being made possible thanks to the support of Peace and Sport and Blumont, an organisation that supports development programmes worldwide. Coaches Molham Alsade and Abdulrahman Jado had the opportunity to talk to umpires and the competition manager in order to learn about the organization of a high level tournament. Most importantly, they also had the chance to play in the competition area. All enjoyed their visit, especially watching matches involving players from China and India. Present was Sarah Hanffou, ITTF Foundation Ambassador and Project Co-ordinator. 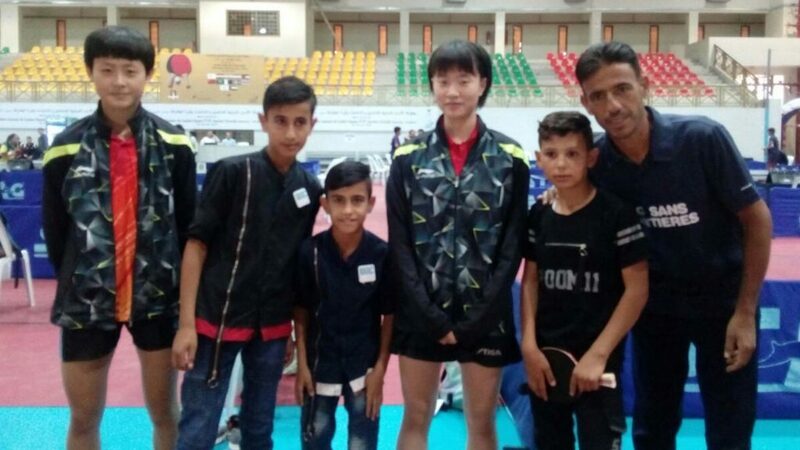 She held meetings with coaches from the Za’atari Camp and officials of the Jordan Table Tennis Federation. Additionally, she was able to evaluate the ITTF Nittaku Dream Building with Refugees project. She was most pleased with the progress made to date. Sarah Hanffou thanked the Jordan Table Tennis Federation for their support, anticipating that their relationship will be strengthened in the coming months. In addition she thanked Hanadi Tuffaha, former Jordanian champion and current member of Federation’s Board. She had co-ordinated the meetings, meals and all activities during the visit to Amman.